Welcome to the Falconsroost Galleries Page. To the left are "Links" to our tailgates photos from years 2004 to the present. 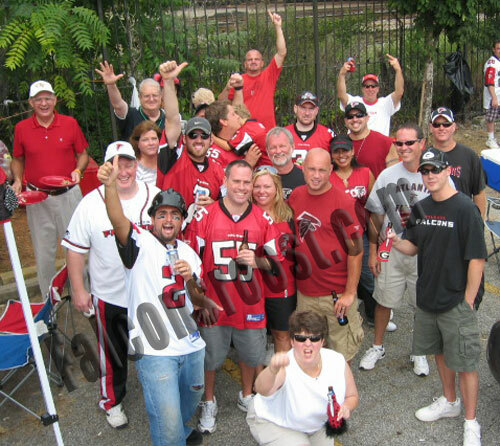 To see photos from a specific year's tailgates simply click on the corresponding year. All you have to do after that is click your mouse over the picture you'd like to see and an enlarged photo will appear in a new window! We have done our best to copyright protect these photos to keep people from copying them and using them in other places that you might not want them to be. If you'd like a copy of any of these photos please send me (Monkeee) a PM through the Forum and I'll get you a digital file copy as soon as I can. If there are any photos you'd like to have added, please contact me via a PM and I'll get them added as soon as I can! As always Thanks for visiting the Falconsroost and be sure to check out the rest of our site. If you're not yet a member of our Forums be sure to sign up for a FREE account today!